The kitchen is one of the rooms that can easily become a mess, more if we're talking about smaller houses. Maximizing the space you have couldn't be simpler thanks to these efficient, yet gorgeous hacks, tips, and ideas. From DIY projects that will allow you to beautifully display how organized you are to repurposed items and easy ideas, get ready to boast about your tidy kitchen. Let's review these ideas together. 1. DIY Door organizer, by C.R.A.F.T. A clever yet super cute way of keeping all sort of items tidy and beautifully displayed: A DIY repurposed door organizer. 2. DIY drawer organizer by Kevin & Amanda. 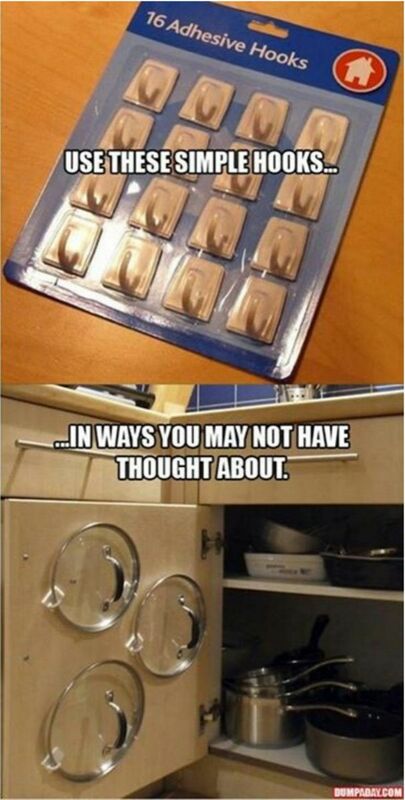 Drawers can become one of the most terrible messes in any kitchen. Learn how to keep them tidy with this super easy DIY organizer. Want to get one instead of build one? 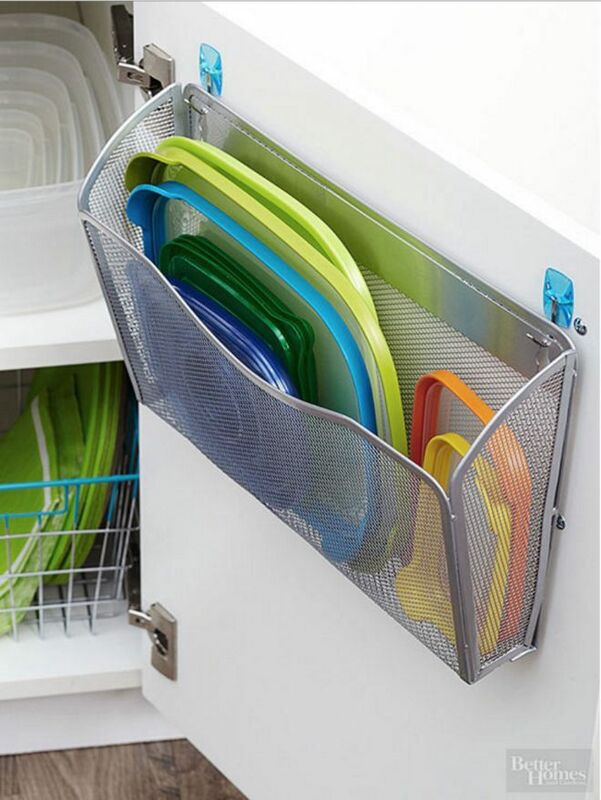 Buy a similar draw organizer here (it's a best seller!). 3. 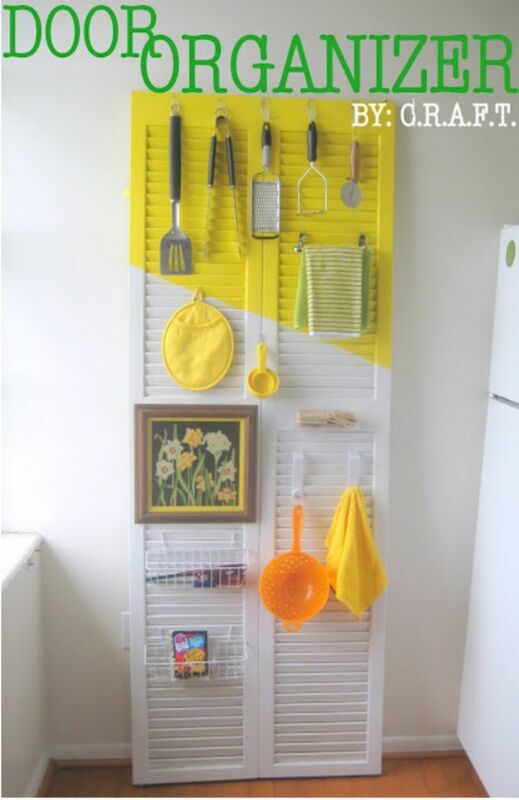 DIY utensils and cutlery storage, seen on Homedit. The lack of sufficient drawers or storage space can be a problem in smaller kitchens. 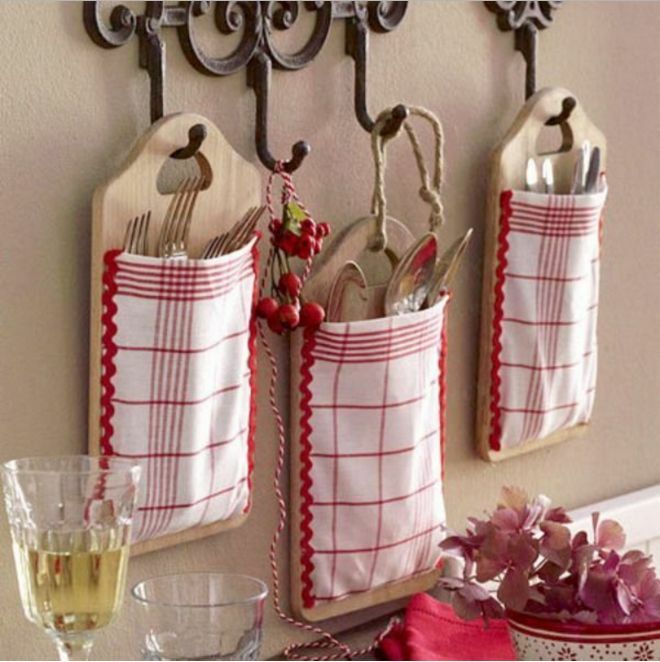 This idea, consisting of creating storage pockets with old cutting boards and napkins, will allow you not only to keep cutlery or utensils tidy, but also to create a beautiful country-style décor item. 4. DIY dish soap cake stand, by Natalme. A cluttered countertop can always be an issue in small kitchens. 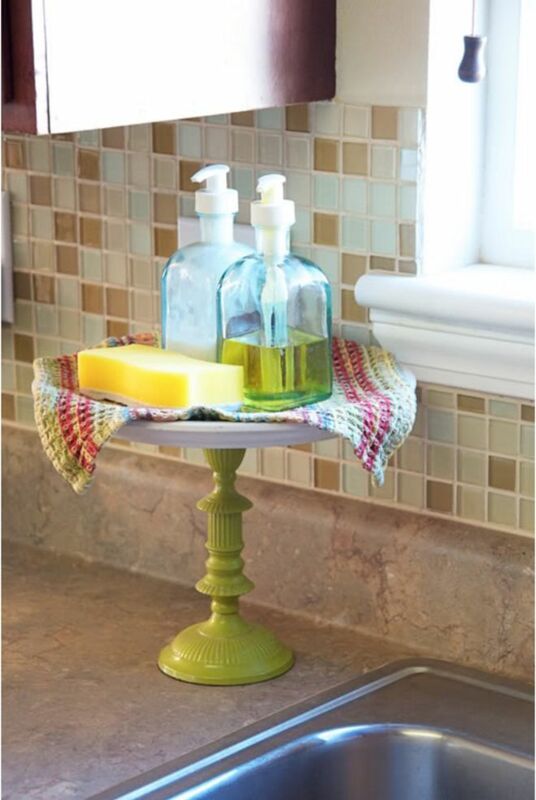 Natalme shows you how to keep it tidy with this DIY dish soap cake stand. Want a cake stand? Buy a similar one here. 5. Measuring caps organizer, by Mandi Tremayne. 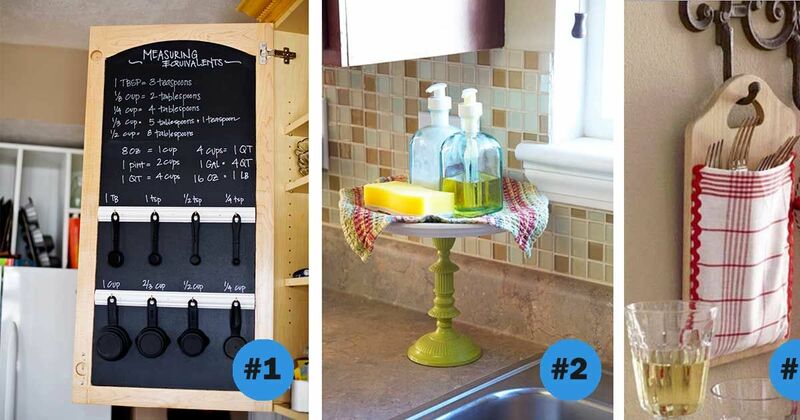 With his ingenious idea, keep your measuring cups at hand and exquisitely organized on a customized cabinet door. 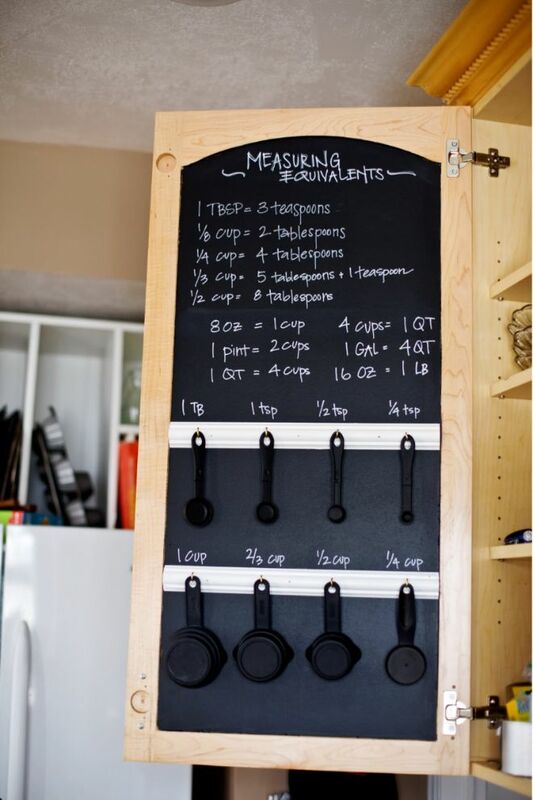 The chalkboard paint also allows you to writing down measurements or any other details you may need to cook. Want a measuring cup rack that's already built? Buy it here. 6. Repurpose a wine rack to organize other items, seen on Better Homes and Gardens. Wine racks are not only useful to store away wine bottles, but also other items as pictured above. Available for purchase here (at a super affordable price!). 7. Clothespins kitchen towels display and organizer, seen on Homedit. A super easy DIY that helps to keep the kitchen towels tidy and organized. 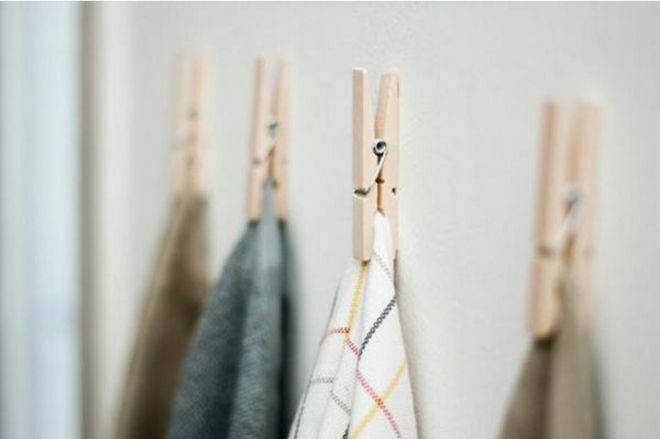 Simply attach clothespins to the wall using double-sided tape and clip the towels in. Need clothespins? A deal to buy them here. 8. Multipurpose adhesive hooks, by Dump a Day. Sometimes, the simplest item is the easiest solution. Use simple adhesive hooks to keep your pot lids perfectly handy and organized. Need adhesive hooks? Buy similar one here. 9. Cupcake liners organizer, by Table for Two. Mason jars prove once again how useful they can be in the kitchen. 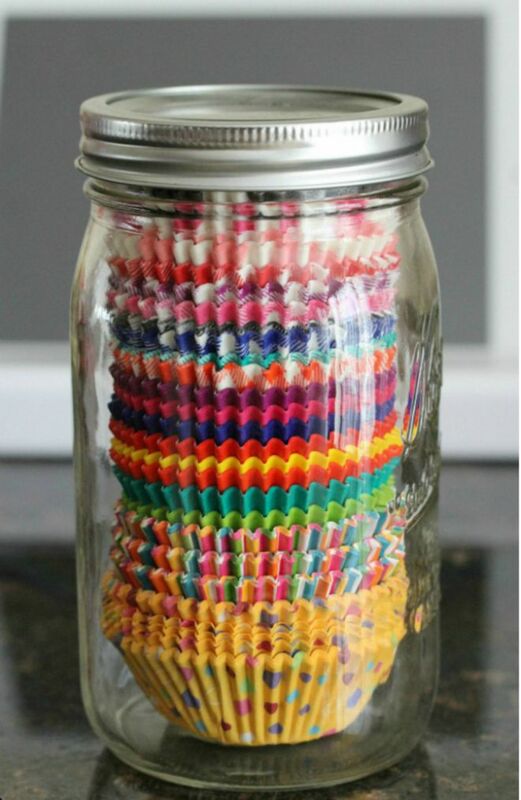 Try at home this efficient cupcake liners organizer. 10. 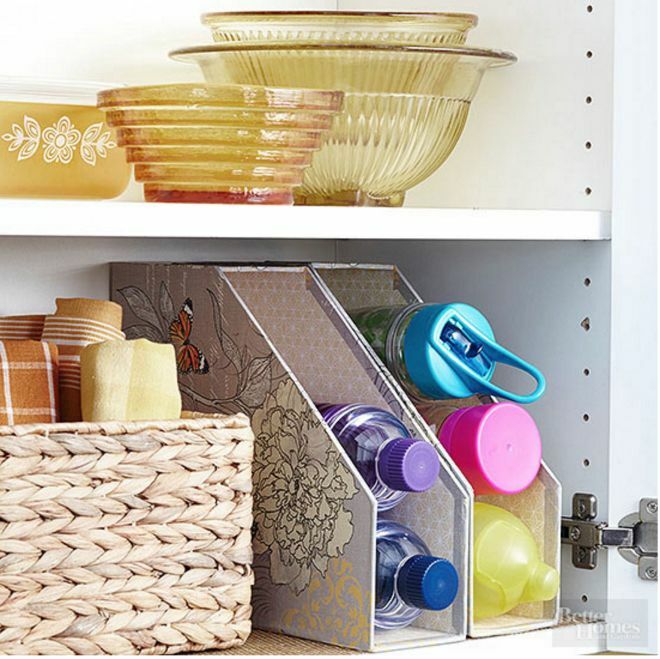 Repurpose office supplies to organize kitchen utensils, seen on Better Homes and Gardens. A document organizer may be more useful in the kitchen than we'd have imagined. Repurpose them to organize your cabinets in a beautiful way. 11. Easy pushpin baggie organizer, seen on Comment Economiser. A simple pushpin in a cabinet door will help you to keep your bags stored away and always handy. 12. 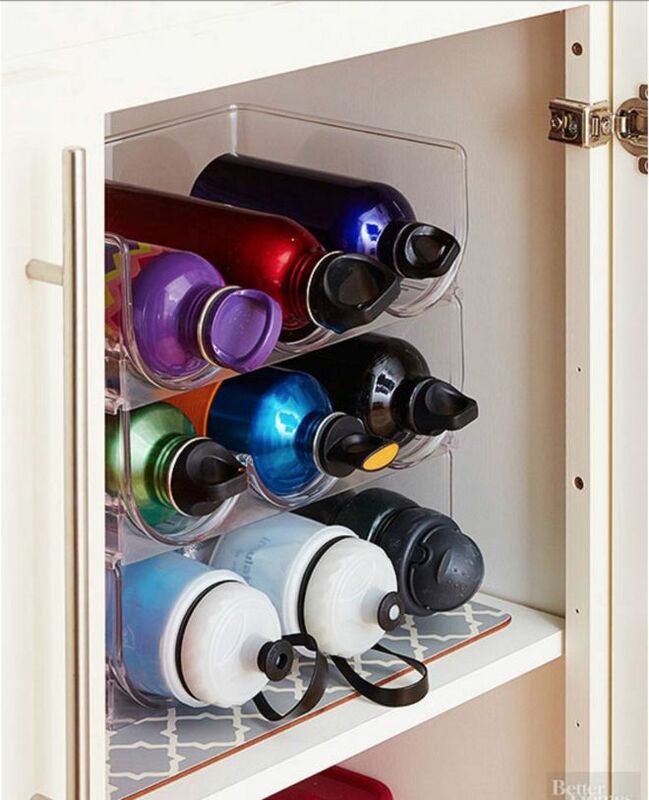 Container lids' organizer, seen on Better Homes and Gardens. A document organizer provides one of the easiest ways to keep all those lids perfectly organized. 13. DIY menu board, by The Sits Girls. Kitchen organization goes beyond keeping it tidy. 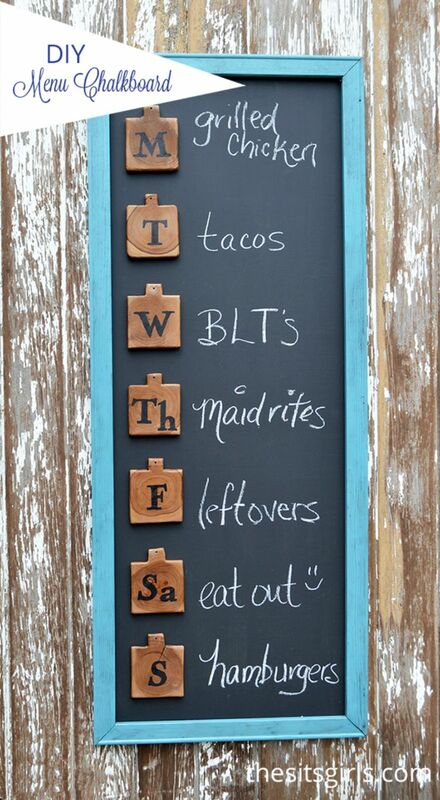 The Sits girls teach you how to create this DIY menu board so all your dinners and meals are organized as well. Need a chalkboard? Buy similar one here. 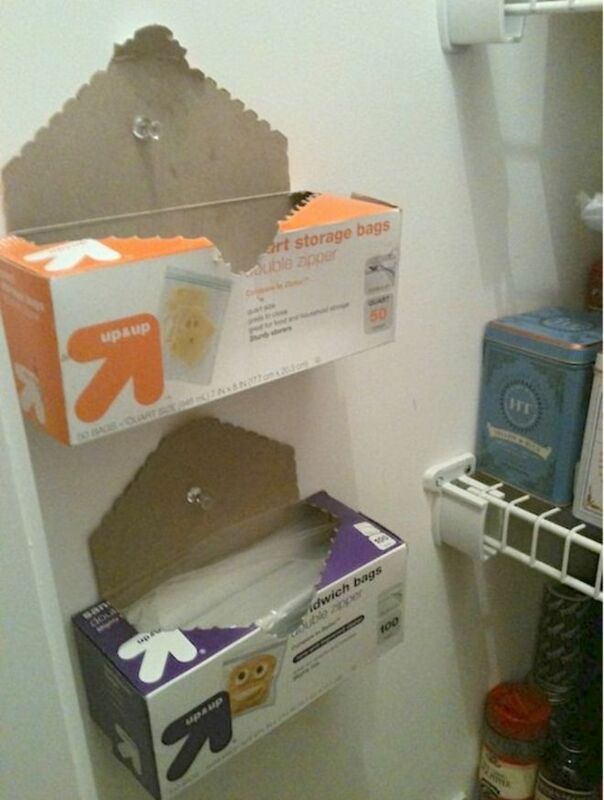 Aren't these great organization tips? Please, SHARE them with any of your friends that may need some help organizing their kitchens!